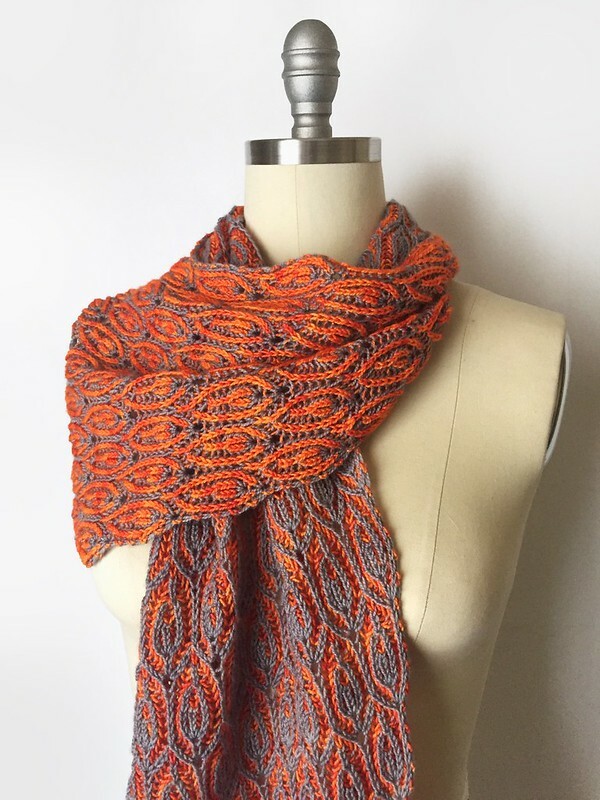 This week, I'm celebrating the release of not one, but two new knitting patterns! And from now through the end of January, you can get 50% off these new patterns when you purchase both of them. That's two for the price of one! No coupon code required! First, I'd like you to meet Spitfire. She's a saucy little minx with a quick wit and a sharp tongue, born of smoke and dragon's breath. No, really. The yarn is A Hundred Ravens' Iachos base in the Smoke and Breathing Fire colorways. Seriously gorgeous stuff! The design features a brioche motif of my own devising, perhaps not for the faint of heart but well worth the reward for those up to the challenge! The scarf begins at one tip and increases to the full width of the scarf, which you can easily customize if you like. Then you work even to the given length (or whatever length you desire) before decreasing back to a point again. I like how the reverse side almost looks like dragon scales too, to complement the flames on the front. I'd love to see someone whip this up in shades of green though. I bet those flames would translate really well into leaves for a junglesque scarf instead. 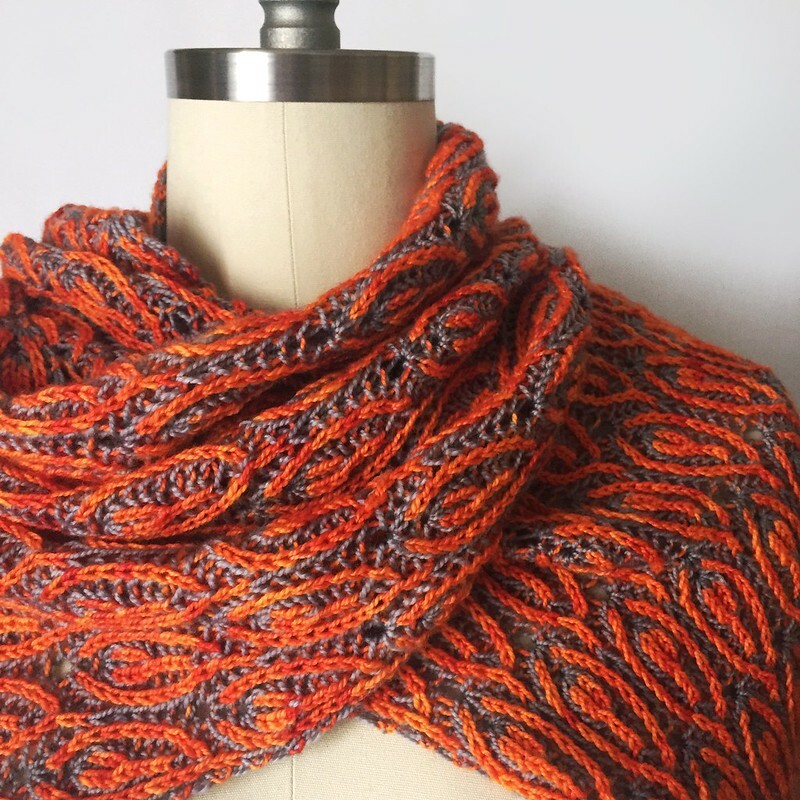 Get more details about Spitfire on Ravelry! 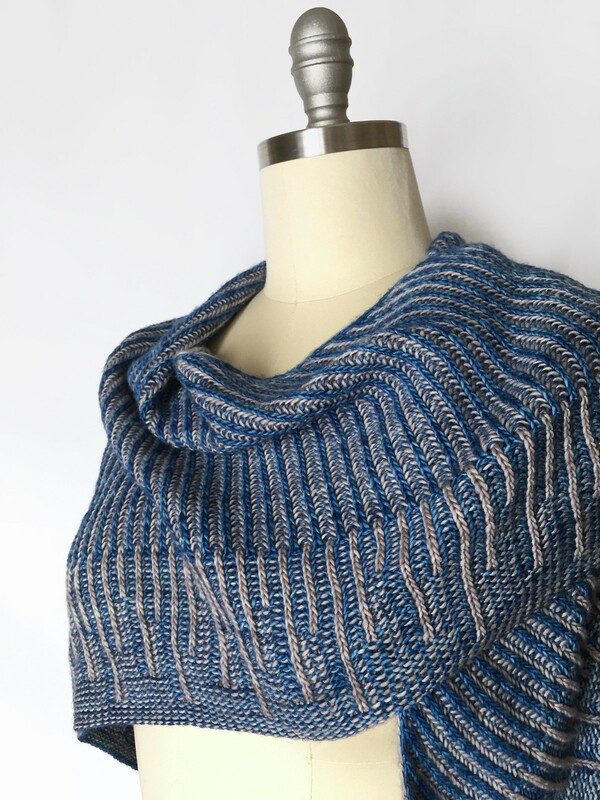 I'd also like to introduce Winter's Eave - another brioche design to keep you warm until all those icicles melt. 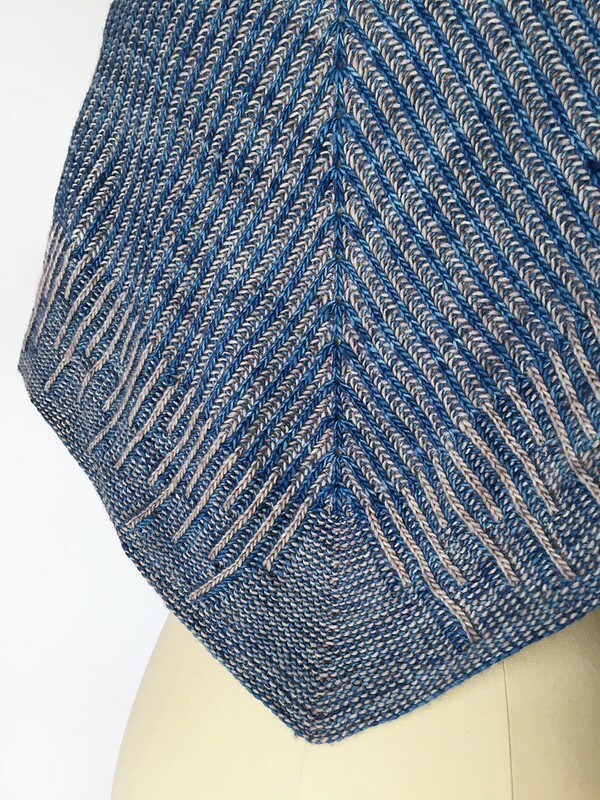 This is a bit more straight forward than the first and will give you plenty of time to get used to the rhythm of brioche before mixing things up a bit for the border. 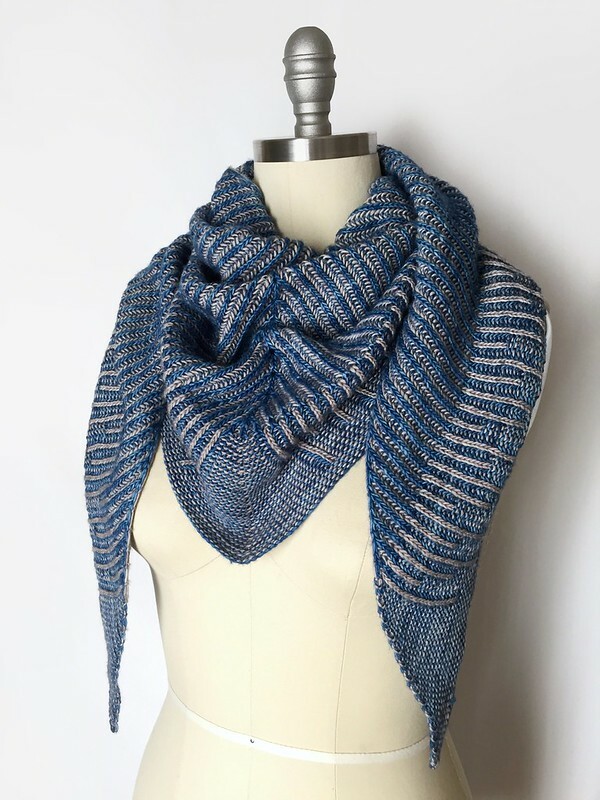 The Malabrigo Mechita single ply is simply luscious, and while the Impressionist Sky and Pearl colorways were used in the sample to evoke wintry vibes, I could see this being worked up in black or grey paired with a neon to resemble paint dripping at the edges. 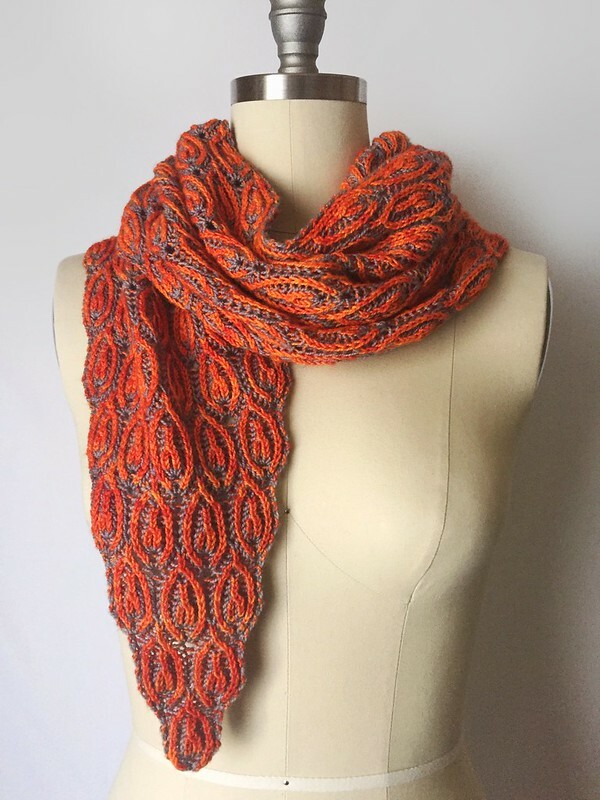 Check out Winter's Eave on Ravelry! Both beautiful, but the first one-WOW!